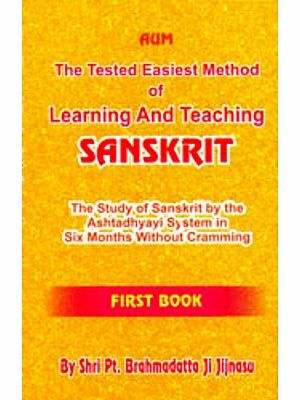 The plan, scope and length of this book have been determined primarily by the aim of enabling students to cope as rapidly as possible with straightforward Classical Sanskrit texts. The material has been drawn almost entirely from the Sanskrit (not Prakrit) prose dialogue of-the major dramas, extracted onto cards and then graded according to the main morphological and syntactical features that required explanation. 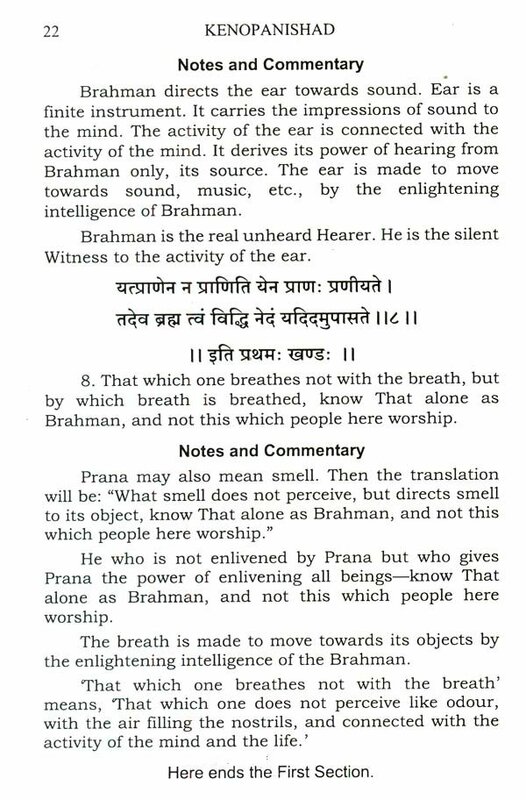 From Chapter 6 onwards all the sentences of the exercises and all the more elaborate examples given in the chapters themselves are taken without change from actual Sanskrit works. While the intention is to provide an introduction to the Classical language in general, because of the nature of the bulk of the material the book is, in the first place, a guide to Sanskrit dramatic prose; and it is probable that I have some-times incautiously presented as generally valid points of usage that really hold good only of the Classical dramatists. 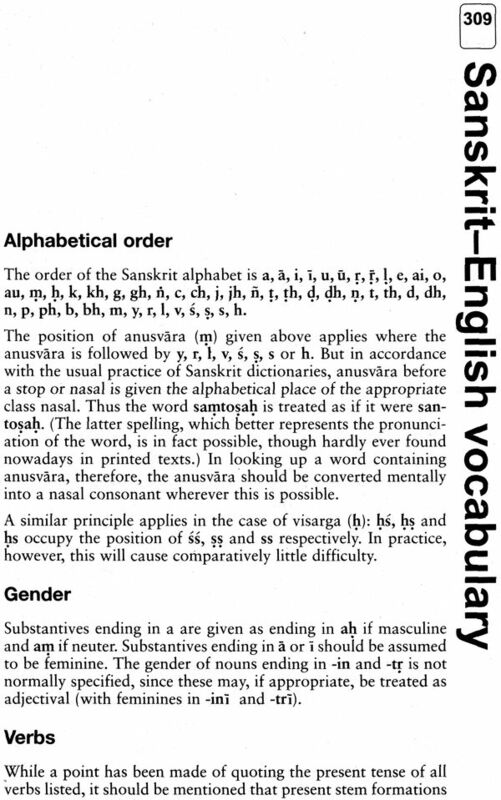 Existing Sanskrit primers tend to be admirably systematic in their presentation of the complicated morphology of Sanskrit (which includes a mass of verb forms little used by most writers) but rather cursory in their treatment of such basic facts of life as the prevalence of nominal constructions and compound formations. The student may get the misleading impression that Classical Sanskrit syntax is very similar to that of Latin and Greek, and emerge well drilled in the varieties of athematic in-flexion and yet quite unprepared, for instance, for such simple discoveries as the fact that someone in a play, speaking from the heart, instead of saying ‘Thank God my children are alive’ can and does say (literally) ‘Thank God I am alive-childed’. In the present book thorough drilling in all the forms of declension and conjugation has been a secondary consideration, and the student will therefore benefit from a certain self-discipline in memorising accurately the paradigms introduced into each chapter. 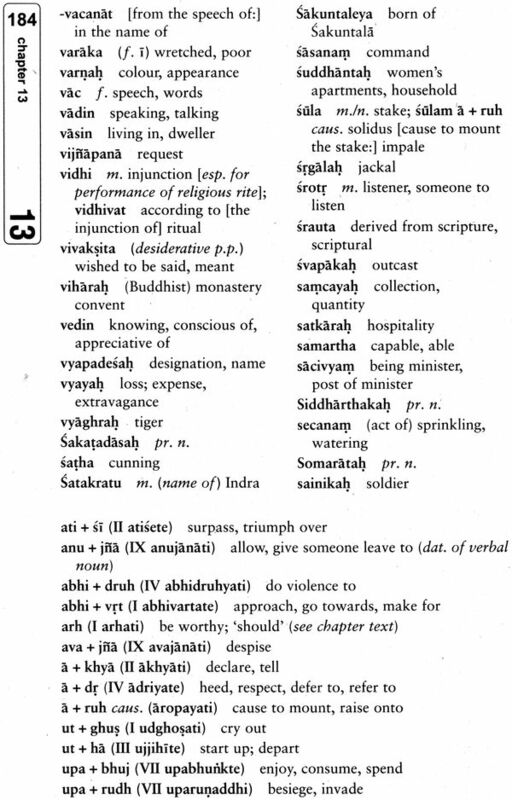 Inpart this shift of emphasis (though I think it desirable at any rate) has been dictated by the use of real Sanskrit material: second-person dual atmanepada forms are not particularly thick on the ground whether in plays or in texts of any other kind. 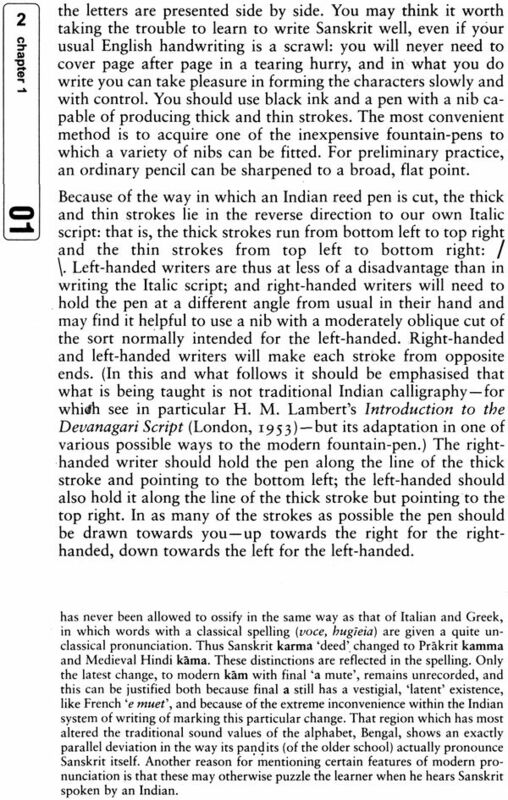 Serious inadequacy in this respect is, however, prevented by the fact that grammatical forms once introduced continue to be illustrated and required throughout the book: each exercise contains a natural element of revision of all previous exercises. It is particularly students without a teacher who need a fuller explanation of Sanskrit syntax and idiom than existing primers give, and so I have been happy to model this book upon the Teach Yourself volumes which I myself in the past have found so helpful and stimulating. At the same time it seemed practical to assume a somewhat greater degree of sophistication in potential students of Sanskrit than in students proposing to teach them- selves a language such as French. Someone who has never previously learnt a foreign language will probably find the early chapters rather heavy going unless he is fairly bright. A significant proportion of readers are likely to have some acquaintance with either Latin or Greek, and so I have cited parallels where these seemed illuminating, but knowledge of either language on the part of all readers is in no way assumed. 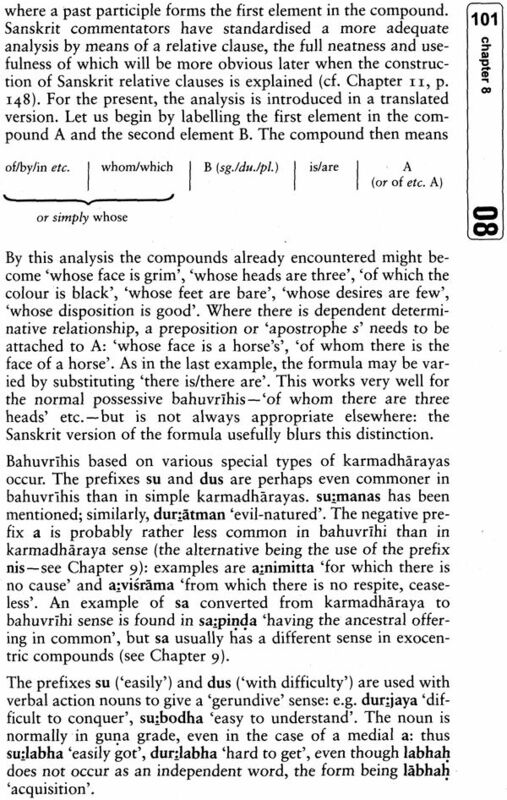 In passing it is perhaps worth stating plainly that the present work is essentially intended to be an entirely ‘synchronic’ study of Classical Sanskrit: occasional references to the earlier history of the language, whether at the Vedic or Indo-European stage, have been introduced where it seemed that they might help to emphasise or clarify the point under discussion. Undoubtedly some readers would prefer more of such references, other less. For reasons of both convenience and economy, the use of the nagari script is discontinued in the body of the text after the first five chapters. Ample practice in reading and writing the script continues to be provided in the exercises. Many people have given help and advice during the long and laborious period of preparation of this book. A particularly deep debt of gratitude is due to the following: to Dr. Richard Gombrich, of Oxford, for detailed comment and unfailing sympathy and encouragement over many years; to Mr. C. A. Rylands, formerly of the School of Oriental and African Studies in London, for reading with a quite remarkably sharp eye much of the final draft, and for giving me in many acute observations the fruits of his years of experience as a teacher of Sanskrit; to my colleague at Edinburgh Mr. W. E. Jones, for much patient and careful discussion of the first two chapters; and" to Mrs. Elizabeth Kelsall, without whose competent editorial assistance I should still be struggling to get the book finished. Much error has been eliminated with the help of these friends and of the students with whom I have used the work in draft form. I am keenly conscious that many imperfections remain. Note: Dr. Coulson died before this book could be published. Dr. Gombrich has seen it through the press; he wishes to thank Miss Elizabeth Christie for her help with the proof-reading. Sanskrit is a member of the Indo-European family of languages to which most of the languages of Europe (including, for in- stance, English, Welsh, Latin and Greek) also belong. These have all evolved from a single language (or, more immediately, a group of closely related dialects), namely ‘Primitive Indo- European’ or just ‘Indo-European’, spoken in about the· third millennium BC, of which no direct record remains. The original Indo-European speakers seem to have been tribes inhabiting the plains of Eastern Europe, particularly the area north of the Black Sea (archaeological remains in the South Russian Steppes are in harmony with this supposition), from where migration subsequently occurred in many directions. With the discovery of Hittite, Sanskrit has ceased to be the oldest recorded Indo- European language: but for many reasons, including the fact that Hittite separated early from the main Indo-European stock, Sanskrit remains of central importance to the student of the history of the Indo-European languages. 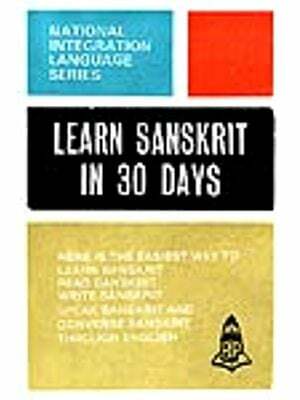 Sanskrit belongs, more specifically, to the Indo-Iranian branch of Indo-European. The other most important member of this branch is Persian. The earliest Indo-Iranian speakers are conveniently known as Aryans, from the name which they gave them- selves (Sanskrit arya, Avestan airya-from the latter the modern name Iran is derived, while the name Eire, at the other end of the Indo-European spectrum, may also be cognate). Although it is reasonable to assume that the original homeland of the Aryan tribes was to the north of the Caucasus, our earliest record of them comes neither from this region nor from the Indo-Iranian area but from south of the Caucasus, from the Mitanni kingdom of Northern Mesopotamia, where a ruling dynasty bearing Aryan names and worshipping Aryan gods such as Indra had established itself in the first half of the second millennium BC. However, the main movement of Aryan migration was not south but east into Central Asia, and from there by separate penetrations into Iran and India. Thereafter the Aryans of Iran and the Aryans of India went their separate ways both culturally and linguistically. The oldest stage of Iranian is represented by Avestan, the sacred language of the Zoroastrians, and by Old Persian, the dialect used in the cuneiform inscriptions of the Achaemenian kings. In India, a highly evolved and urbanised civilisation had existed long before the coming of the Aryans. This was the ‘Indus Valley Civilisation’, known to us in particular from excavations at Harappa and Mohenjo Daro, and dating from at least the middle of the third millennium. The culture was stable over a long period, and literate. It came to a sudden end, and it is tempting in the extreme to attribute its destruction to the coming of the Aryans. However, an awkward time gap exists, and has not yet been successfully explained, for the Indus civilisation seems to have perished in about 1700 BC and there is no evidence that the Aryans reached India before the latter half of the second millen-mum. The survival in Baluchistan up to the present day of a Dravidian language, Brahui, so far from what is now the main Dravidian area in Southern India, makes it reasonable to conclude that before the arrival of the Aryans Dravidian was spoken over a much wider area, and the suggestion has naturally been made that the inhabitants of the Indus cities spoke a Dravidian language. At present this remains unproved, unless recent claims of successful decipherment of the Indus script are accepted, and other non-Aryan language families do exist in India, most notably the group of Munda languages. Although the language of the Aryans established itself over most of Northern India, it seems that in the long run the Aryans were affected both culturally and linguistically by the peoples they conquered, and Dravidian and Munda influences (particularly the former) can be traced in the development of Sanskrit itself. The speech introduced by the Aryans into India developed and diversified, and the major modern languages of Northern India are descended from it. The generic term for such languages is Indo-Aryan. One may conveniently divide the development of Indo-Aryan into three stages: Old, Middle and Modern. 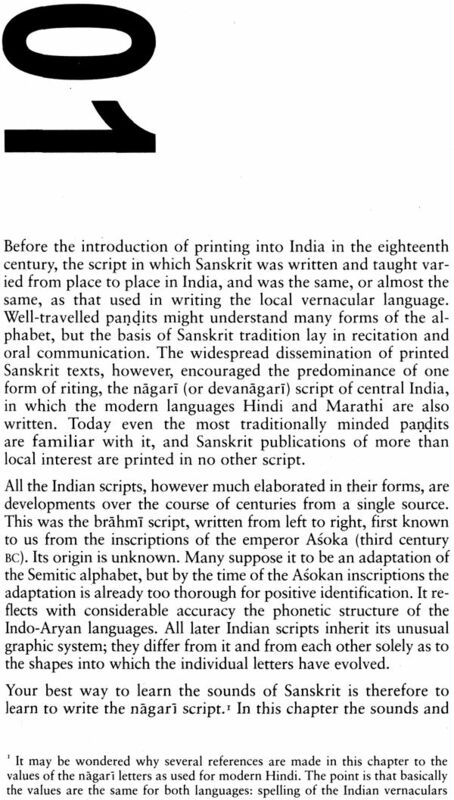 Old Indo-Aryan is equivalent to Sanskrit only in the widest sense of the latter term, and is divided principally between Vedic and the later Classical Sanskrit. Our record of Old Indo-Aryanbegins with the hymns of the Rgvedg, which date back to at least 1000 BC and are the product of a considerable literary skill. 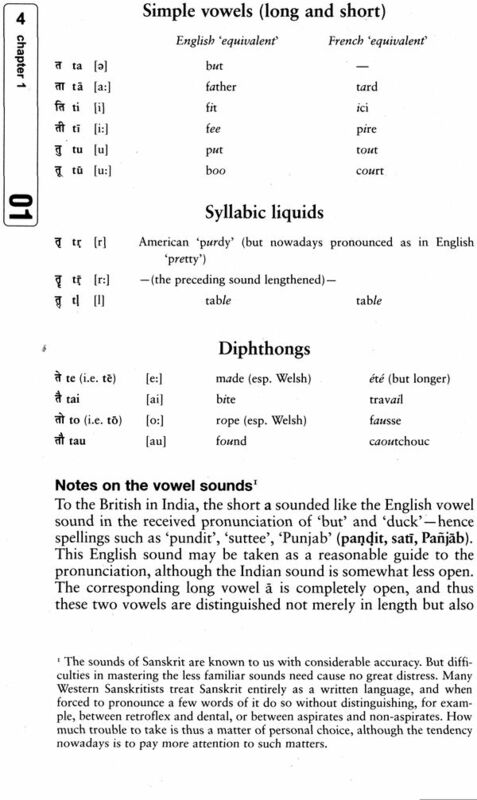 That they were composed a fair time after the arrival of the Aryans in India is shown both by the absence of any reference to a home- land outside India and by divergences, principally phonetic, in the language itself from what can be reconstructed as the common Indo-Iranian tongue. Intermediate between the language of the Rgveda and that of the Classical period is the language of the Brahmanas, prose works which seek to interpret the mystical significance of the Vedic ritual, the earliest of them written well before the middle of the first millennium BC. The Upanisads are a part of the Brahrnana literature. With the passage of time the language of even the educated priestly class diverged more and more from that of the sacred hymns themselves, and it became increasingly a matter of concern that the hymns should be transmitted without corruption, in order to preserve their religious efficacy. Consequently, a study began to be made of the principles of linguistic, and more particularly of phonetic, analysis. From this developed a grammatical science which concerned itself not only with the sacred language but also with contemporary educated speech. The grammar of Panini, the Astadhyayi, usually attributed to the fourth century BC, is evidently the culmination of a long and sophisticated grammatical tradition, though the perfection of his own work caused that of his predecessors to vanish. In less than 4000 sutras, or brief aphorisms (supplemented on points of de- tail by the grammarian Katyayana), he analyses the whole phonology and morphology of Sanskrit. He anticipates much of the methodology of modern formal grammar: his grammar is generative and in some respects transformational. It cannot, however, be compared very directly with modern grammars, since its form is geared to the needs of oral transmission, and Panini could not avail himself of the mathematical symbols and typographical conventions of the written page. The work was so brief that it could be recited from beginning to end in a couple of hours. It was so comprehensive and accurate that it quickly became the final authority on all questions of correct usage. By Classical Sanskrit is meant essentially the language codified by Panini. 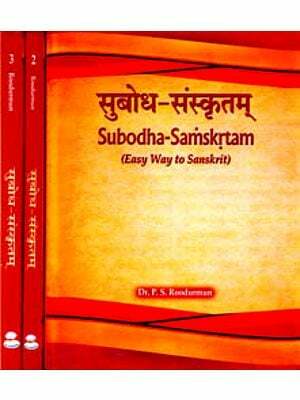 The formal differences between Vedic and Classical Sanskrit are not enormous. 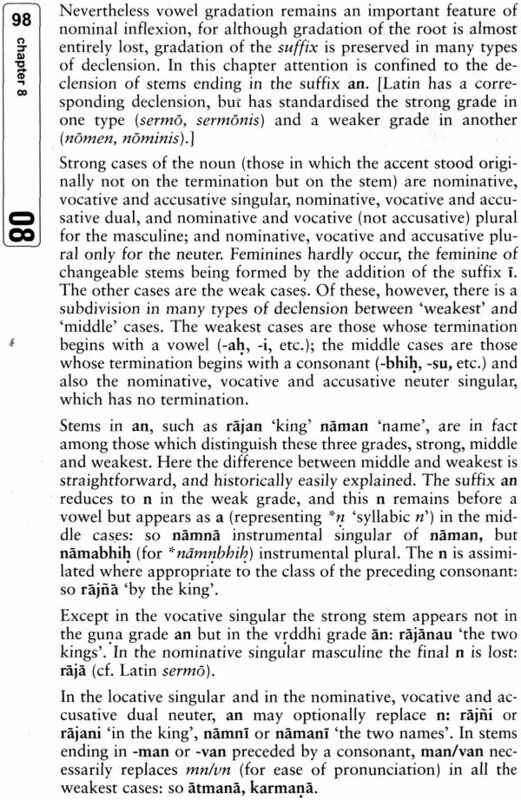 Phonologically, the most obvious is a difference of sandhi, whereby for instance a trisyllable such as viriam (or viriyam) becomes a disyllable viryam. Morphologically, the wealth of inflected forms is somewhat reduced, for instance by the disappearance of the subjunctive. In vocabulary a fair number of ancient Aryan words are lost, but the loss is far outweighed by the acquisition of enormous numbers of words from non-Aryan sources. 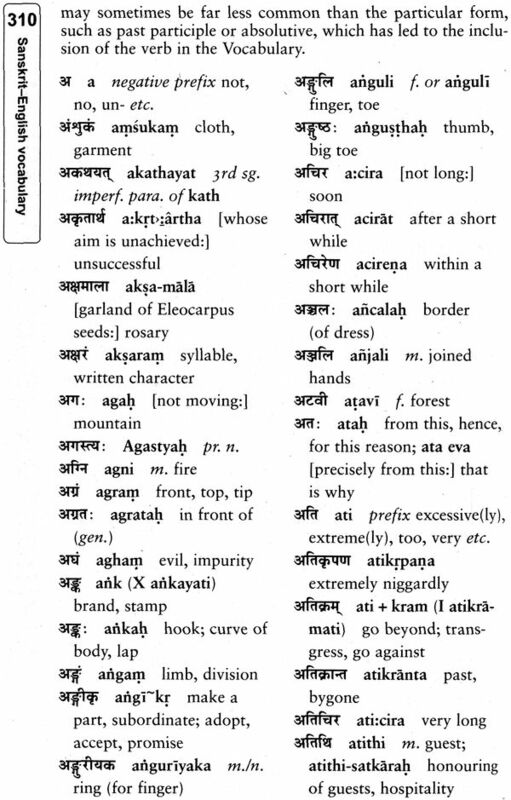 Classical Sanskrit is based on a more easterly dialect of Old Indo-Aryan than is the Rgveda, as is shown by the fact that it contributes a number of words which preserve an original Indo- European I, where the Rgvedic dialect (in common with Iranian) changes this sound to r: thus both Vedic raghu ‘swift, light’ and Classical Sanskrit laghu ‘light, nimble’ are cognate with Greek elakbus. Other Old Indo-Aryan dialects existed; we have no direct record of them, but from them various dialects of Middle Indo- Aryan evolved. The nagari script. 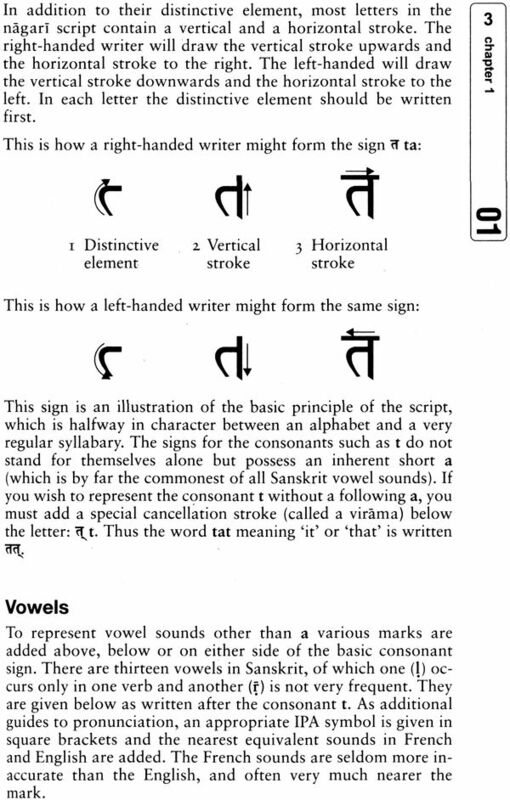 Vowels, anusvara, visarga. Consonants, stops, nasals, semivowels, sibilants, h. Conjunct consonants. Other signs. Numerals. Transliteration. Prosody. 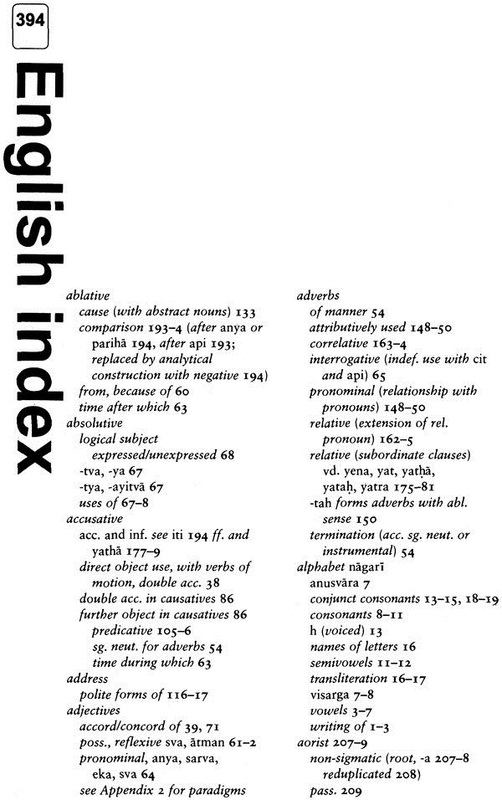 List of conjunct consonants. Roots and verb classes. Vowel gradation. Classes I, IV and VI. Present indicative. Prefixes. Sandhi. Use of the sandhi grids. Sandhi of final r and h Punctuation of vowel sandhi. Ca, iva, kim and iti. Past participle. Instrumental case. Saha. Past passive sentences. Omission of pronouns. Eva. Esah. Va. Krtam, alam and kim. Adverbs of manner. Internal sandhi. Retroflexion of sand n. Absence of external sandhi. 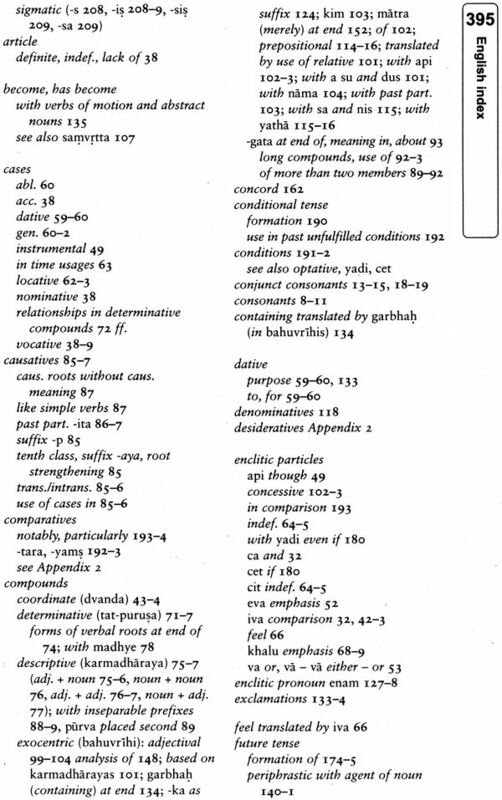 The cases: dative, ablative, genitive, locative. Expressions of time. Ayam. Pronominal adjectives. Kas cit and ko >pi. As ‘be’. Bhu ‘be’. ‘To have’. ‘To feel’. Absolutive. Khalu. Sand hi of final nand t + s.
Consonant stems. Feminines in i. Causatives. Class X verbs. 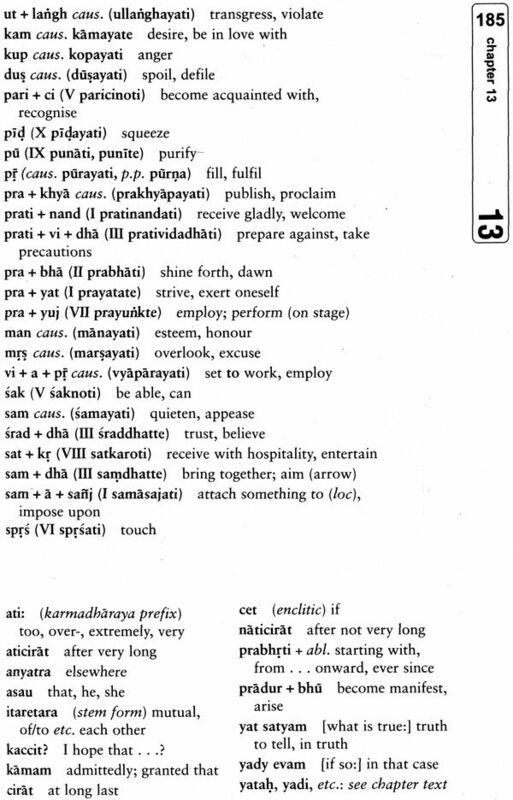 Karmadharaya prefixes. Purva. Compounds of more than two members and their use. Use of gata. Changeable consonant stems. 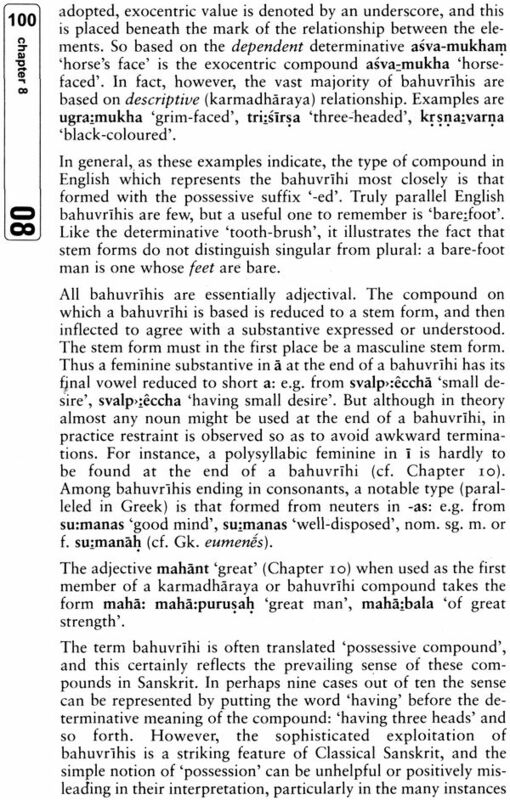 Exocentric compounds: bahuvrihi. ‘Called’. Atman. Svayam. Predicative accusatives. Action nouns in ana. Samvrtta. ‘Palace’, ‘temple’. Stems in i and u. Stems in vant and mant. Atmanepada. Vartate. Past active participle. 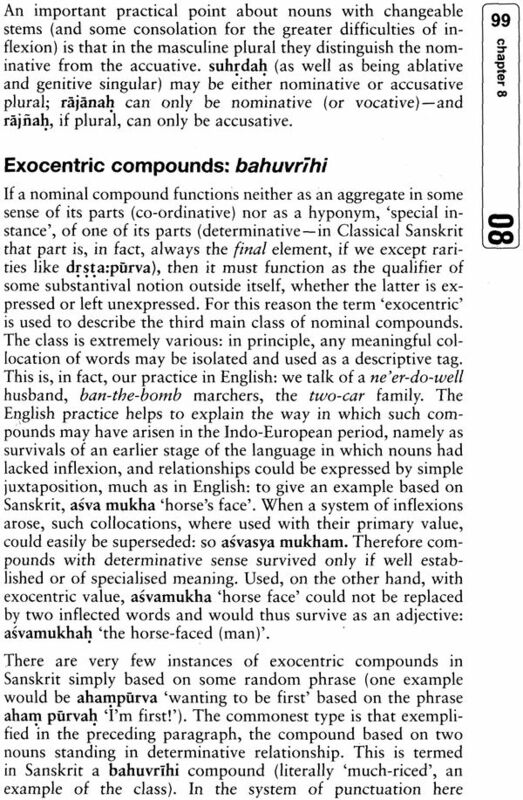 Exocentric compounds: prepositional (including sa_, nis_ and yatha_)-avyayibhava. Polite forms of address. Janah in compounds. Disya. Denominative verbs. Vrddhi derivatives. Reduplication. Presents of classes III, VII and IX. The infinitive. The future. Relative adverbs: noun-clauses and clauses of reason, result, condition, concession etc. Asau. Adl ‘etc.’ ajnapayatl/Vljnapayatl. The imperfect. The optative. Remote conditions. Comparatives and superlatives. Constructions with iti. Clauses of command. Interrogative clauses. Word repetition. The perfect. The aorist. The injunctive. The precative. Ahan. 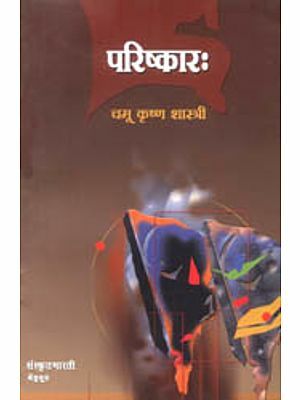 Antaram. Sastrapiini etc. Metre (the anustubh; even metres; semi-even metres; the Arya):’ The Kumara-sarnbhava. 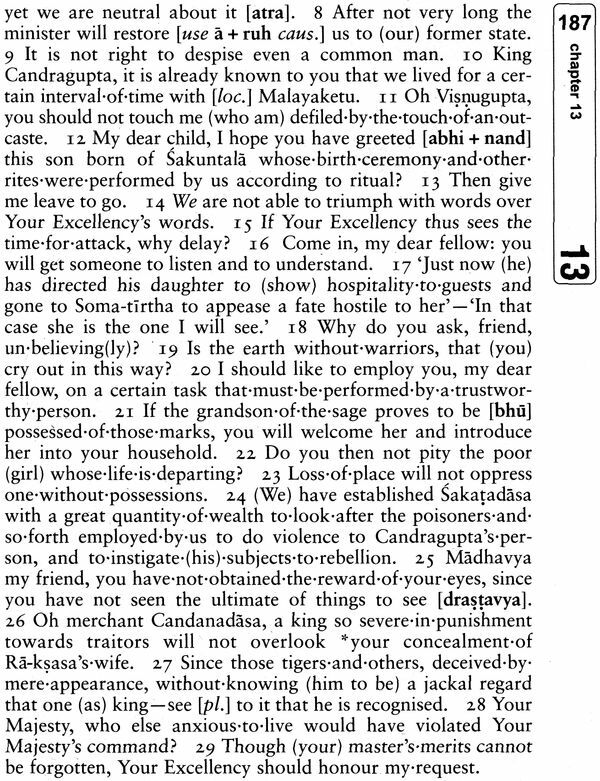 Mallinatha’s commentary. Paninian grammar. Quotations from literary critics.